More than just a game. – My thoughts on a page. Mayo will never again win an All Ireland Football Final”. So roared the priest, as the victorious team of 1951 passed by. The shocked members of the funeral party stood in silence. a small village in County Mayo. paying due respect to the funeral party. where priests were very powerful members of the community. where birth control was deemed to be a mortal sin. that the Mayo team were from that day forward “cursed”. Can one man, even a priest, really hold such power? Fast forward sixty two years. Mayo have still to win an All Ireland. but never won the crown. yet another All Ireland Final. There is so much hype about it. Some even say Dublin are planning to take precautionary measures. in order to ensure victory. where the original curse was cast. and released them from the agony of defeat. for the first time in sixty two years? was it because the curse was lifted? Sunday approximately 5pm we will know. is that there is no curse. Today at 5pm the result will be known. because the Dubs are the best team. all add to the day. so much more than just a game. As We Wait And We Cry. The church of our youth HAD so much power, and the older generation believed them absolutely, but not any more. 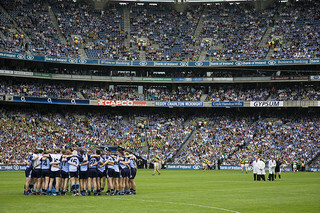 I too am supporting the Dubs, only because I have no connections with Mayo, it will be exciting either way. .
Yahoo, the Dubs won by a point. It’s strange as sometimes life is so normal and then I remember the reality of what’s happening and I’m so sad. None of us can believe what’s happening for my friend. Spoken by someone who obviously knows! Thank you. I am not naturally a misery and as you say, moments of normality are so necessary. Thanks for the hugs. Never heard that story 🙂 but typical of the priests of the time that thought they had such power, and of the Irish people of the 50s that fervently believed them. Plenty still do. And guess what? 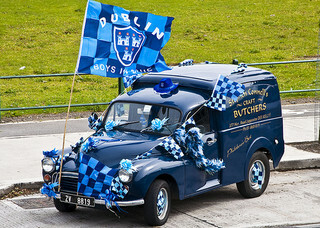 Dublin won, the curse continues!